CHANNEL ISLANDS HARBOR — The grand reopening of the completely revamped Channel Islands Landing Marina and Boatyard — located on Victoria Avenue, on the east side of Channel Islands Harbor — has been delayed until February 2012. The $8.5 million makeover includes an increase in capacity from 91 to 157 slips, the addition of two new restroom and shower facilities, a laundry room for slip tenants and improved dockside parking. There is also a new harborside promenade with drought-tolerant landscaping and contemporary lighting, designed to increase and improve public access to this side of the harbor. The redo includes new gangways and restroom facilities that are compliant with Americans with Disabilities Act standards for accessibility. The 14.5-acre site includes a marina, a boat services yard and dry storage for boats. 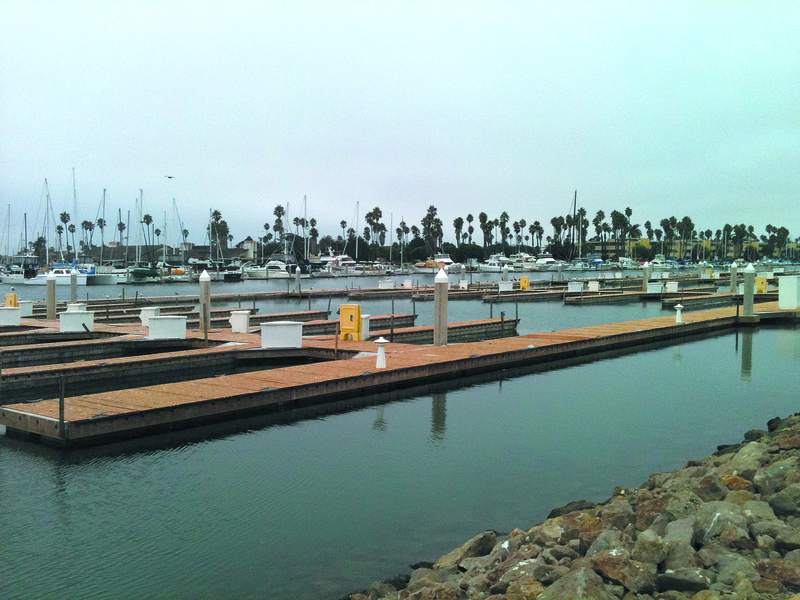 An on-site Catalina sailboat dealership and yacht brokerage is constructing new hoist piers that will be able to support a 75-ton Travelift. The landing currently has a lift capacity of 55 tons. The new concrete docks and slips, built by Bellingham Marine, are already in place. They range in size from 22 to 50 feet, with 46 percent of the berths designed for boats 32 feet in length and smaller. “We were ready to start renting slips in September, but a delay in permitting for the new restroom, shower and laundry, and the upgraded Travelift piers, caused us to move the completion date forward,” explained Bob Nahm, marina general manager and project manager. About 70 boat owners who are ready to rent slips and move in are calling weekly for updates on slip availability, Nahm said. Nahm said he expects to announce slip rates in early 2012 and start getting boaters into those new slips in February. For more information, call Channel Islands Landing at (805) 985-6059.